The upcoming generation of Intel's processors will be the Haswell architecture built using the same current 22nm process technology, the new generation is expected to launch on 2013, according to cpu-world sources Intel is planing to start the next generation with a server processor, the Intel Xeon E3-1200 v3, which belong to the Denlow server platform. The Xeon E3-1200 v3 will features Lynx Point chipset, in addition to all new Haswell technologies such as AVX 2.0 instruction set, integrated voltage regulator DDR3/DDR3L modules with dual-channel support up to 1600Mhz clock speed, the CPU need an LGA Socket 1150, the Xeon CPUs require 95W TDP powred with the new Intel's GT2 Graphics chipset, check the leaked notes and down table for more specifications. Xeon E3 family will include several SKUs for micro-servers and other low-power applications. These include two quad-core processors: one with GT1 graphics and 45 Watt TDP, and another without GPU and with 25 Watt - 30 Watt TDP. There will be also dual-core part with 3 MB L3 cache, and 15 - 20 Watt TDP. This processor will lack integrated GPU. 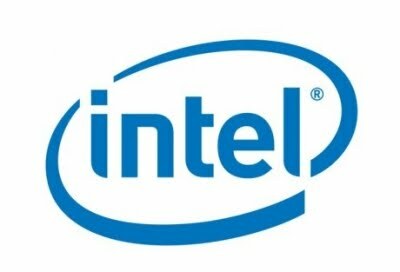 Lastly, Intel will release a few SKUs for Virtual Hosted Desktop (VHD) applications. These Xeons will be shipped with GT2 graphics, and they will be rated at 65 Watt and 95 Watt TDP. The Xeon E3-1200 lineup looks mostly similar to E3-1200 v2 with a few exceptions. As much as we can tell, the v2 lineup didn't have workstation model with non-standard heatsink requirements. The E3-1200 v3 also includes new low-power chip with 25W - 30W TDP, and processors for VHD market.